Most cell phone owners around the world only have to worry about a single carrier technology. It’s called the Global System for Mobile Communications, or GSM for short. As its name implies, this standard was developed for, and has been adopted by, almost the entire globe as the way to communicate via cellular calls. But not everyone has jumped on the GSM train. An alternative cellular standard known as Code Division Multiple Access, or CDMA, is used by many carriers around the world. It is most popular in the United States and Russia. However, it’s also used in some Asian and African countries, often alongside competing GSM carriers. This the first question many potential owners ask, and it makes sense, but in this case there’s no easy answer to that question. GSM and CDMA are different ways to accomplish the same goal. The fact that extremely popular networks are built on each simply proves that it’s the quality of the network, not the standard, which is important. For instance, in the United States, two of the four major carriers (Verizon and Sprint) use CDMA while the other two (AT&T and T-Mobile) use GSM. Technically, neither is the better in terms of quality, but there are some things here for your consideration. GSM phones are able to be unlocked Is It Legal Or Illegal To Unlock My Smartphone In The US? Is It Legal Or Illegal To Unlock My Smartphone In The US? Unlocking your cellphone is now legal in the United States thanks to a bipartisan bill signed into law by President Obama, but it only lasts until 2015. Care to learn more about the legality of... Read More and moved between carriers, but CDMA phones are often locked to a single carrier and unable to be transferred. Many phones are compatible with either GSM or CDMA, but not both. For CDMA phones, you will need to buy a phone made for your specific carrier. The easiest way to do this is buy directly from your carrier Never Buy a Phone From Your Carrier! Buy Unlocked Phones and Save Hundreds Never Buy a Phone From Your Carrier! Buy Unlocked Phones and Save Hundreds Unlocked phones can cost a fortune, but the savings more than make up for it. You can save thousands by not signing a contract. We've got six phones that come contract free! Read More . 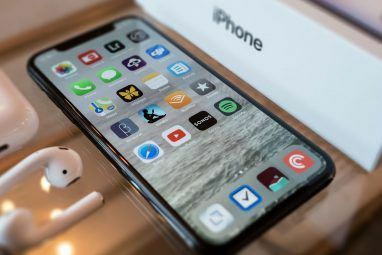 For example, if you want an iPhone on Verizon, you need to buy a Verizon-branded iPhone — not a Sprint- or AT&T-branded iPhone — because it has the specific bands and compatibility with Verizon. However, if you ever want to leave Verizon, you won’t be able to take your phone with you; it is locked to that carrier. If you don’t want to be trapped with one carrier The Future Is Prepaid: How To Save Hundreds On Your Mobile Phone Bill In 3 Easy Steps The Future Is Prepaid: How To Save Hundreds On Your Mobile Phone Bill In 3 Easy Steps Cutting your mobile phone bill in half takes only three simple steps - first, find a carrier that offers discounted plans, such as an MVNO. Second, get an unlocked phone. Third, and optionally, you can... Read More , however, you can also look for unlocked GSM phones from third-party retailers. These phones will work with any GSM carrier simply by popping in your SIM card Why Do Cellphones Need a SIM Card? Why Do Cellphones Need a SIM Card? Haven't we come far enough with technology that such a thing as SIM cards shouldn't matter anymore? What is a SIM card and why is it so important? Read More . For example, Amazon sells tons of unlocked GSM phones, while Google sells their Nexus 5, Pixel, and a couple of Google Play Edition Love the Nexus but Don't Want a Pixel? Here Are Your Options Love the Nexus but Don't Want a Pixel? Here Are Your Options If you loved the Google Nexus line but are disappointed with the announcement of the Google Pixel phone, this guide will help you find the perfect phone for you. Read More phones unlocked. Any retail or online store dealing in cellular phones should provide information regarding the networks a phone works with. Owners of CDMA phones don’t need to worry about SIM cards, but this is more a curse than a blessing. CDMA phones bake in compatibility restrictions that are difficult to get around, while GSM owners can simply take out their SIM and replace it with one from another carrier. 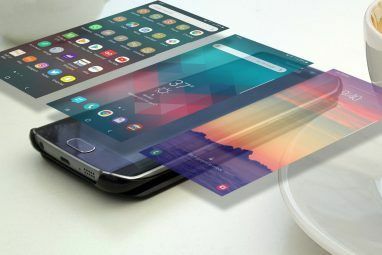 Most CDMA networks do not allow the use of a phone originally purchased from another carrier even if the phone is otherwise technically compatible. This is an important restriction to remember when going with a CDMA network. If you decide to switch networks later you’ll likely need to buy a new phone even if the network you’re switching to also uses CDMA Never Buy a Phone From Your Carrier! Buy Unlocked Phones and Save Hundreds Never Buy a Phone From Your Carrier! Buy Unlocked Phones and Save Hundreds Unlocked phones can cost a fortune, but the savings more than make up for it. You can save thousands by not signing a contract. We've got six phones that come contract free! Read More . If you now understand the importance of GSM and CDMA, awesome! Now let’s entirely destroy your assumptions by talking about the newcomer, Long Term Evolution (LTE) EDGE, 3G, H+, Etc: What Are All These Mobile Networks? EDGE, 3G, H+, Etc: What Are All These Mobile Networks? Are you on the fastest mobile network? If not, where do you fall on the spectrum? These mobile network symbols can be confusing, but don't worry because we'll clear it up for you. Read More . LTE is a new standard Wireless Alphabet Soup Explained: What Is 4G, 3G, LTE, & More [MakeUseOf Explains] Wireless Alphabet Soup Explained: What Is 4G, 3G, LTE, & More [MakeUseOf Explains] We just absolutely love acronyms, don't we? So much so that we use them literally everywhere to have a shorter way to name something. Whether it's an official acronym such as USB or something unofficial... Read More that’s come into vogue over the last few years. Though based on the principles of GSM, LTE is its own separate standard that operates apart from existing GSM and CDMA networks — it’s the real fourth generation of cellular data. The highest adoption of LTE can be found in South Korea, where it commands the majority of the market. However, it is also popular in Japan, Australia, Sweden, and the United States. So far it’s used primarily for data, but standards have been drawn up for using LTE as a replacement to traditional cellular networks. Verizon Wireless in the US, for example, has announced its plan to roll out LTE-only phones in late 2014. And then there’s the problem of spectrum. Remember how GSM/CDMA operates on many different bands? The same is true of LTE. You need to check that the compatibility of your phone matches the frequency band supported by your carrier. You won’t be able to use an LTE phone on other networks with the same standard, but a different frequency band. It’s unclear at this point if this standard will ever become “global” in the same way as GSM, which settled on a core of four frequencies across the world that are supported by most GSM phones. And before you know it, the next global communication standard — 5G — will be upon us Here's What the Arrival of 5G Means for You and Me Here's What the Arrival of 5G Means for You and Me You might have seen ads for new "5G Evolution" networks. News flash: that's not 5G. You're falling for an advertising gimmick. But 5G is coming soon, nonetheless. Read More . First, neither GSM or CDMA is technically better; they ultimately provide the same service and the quality of a network depends on the carrier, not the cellular standard used. Second, GSM phones can be unlocked and switch carriers, whereas CDMA phones are locked to a carrier. 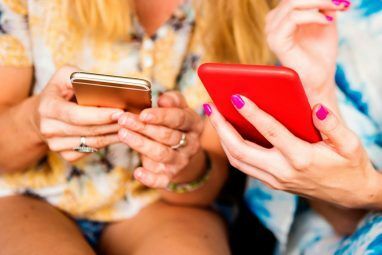 It’s usually cheaper to buy unlocked GSM phones Save Money By Switching To An MVNO: 4 Requirements You Must Know Save Money By Switching To An MVNO: 4 Requirements You Must Know In the United States and Canada, getting ripped off doesn't take any effort, just a signature. When you sign a contract for cellular service, you also sign away your freedom. Read More than on-contract CDMA phones. Third, you need to check what bands your chosen phone supports carefully. Most either work on GSM or CDMA, and both standards offer multiple frequencies that differ across the globe. Finally, LTE is being rolled out as a global standard. Unfortunately, it falls victim to even more frequency division than GSM and CDMA. The technology also suffers from limited adoption because it’s relatively new. Hopefully this has cleared up any questions you had. Cellular services are undergoing constant evolution and the standards commonly supported by phones can change from year to year. Are you gazumped by GSM? Confused by CDMA? Feel free to leave your questions and comments below, and we’ll try and answer your questions! Image Credit: Wikimedia/Jon Ravi, Man’s hand holding black GSM SIM card and Good looking guy on a cell phone from Shutterstock. Disney+, Is IPTV Legal, and Office Alternatives for macOSWhat Is The Cloud? ok. So what pray tell it's the difference in cdma and wcdma. Uhhh..... no, your not locked to the carrier permanently when you have a CDMA phone. Fix that info and stop confusing people. Hi, thanks for the information, I found it very useful, but still have further questions. I am about to buy an unlocked iphone 6s from a 3rd party retailer in Australia. The intention is to take it overseas, firstly to Europe and then Canada. I am not too concerned about it working in Europe, but it needs to function as a normal phone in Canada as I will be living there (voice/text/data). I have done a lot of reading and am 90% sure that the iphone 6s is compatible with a lot of frequencies and carriers in Canada, but is there any way I can find out for sure? Would it be worth going to speak with someone from Apple? Thanks so much. You can enter (if where your buying the phone from provides the phones IMEID/MEID) into your potential carriers coverage map. This will determine in Canada which network would have the best coverage for you, in regards to the location of your home! It will show you how good the connection will be in relation to your location and its towers. can I PUT A PAY AS YOU GO SIM CARD FROM STRAIGHT TALK [VERIZON] INTO AN UNLOCKED GSM PHONE? Yes, as long as your Verizon CDMA phone has been approved for a domestic unlock from verizon. Call Verizon and get accounting services on the phone and ask for a domestic unlock. I’ve done it 10 times or more for friends and myself. Question: Where I live, there's no GSM coverage. Since LTE only covers data, does that mean I still I'm stuck with the CDMA carriers/phones even with "LTE phones?" HELLOO. I AM ON METRO PCS WITH A ZTE PHONE is unlock is a GSM / HSPA / LTE . i drive trucks and i need to change to verizon . if a get a GSM PHONE to verizon i will have the same signal en all places as a phone with CDMA. OR I MAY have les coverage. this is because verizon is a CDMA. THANKS. Excellent summary, much thanks! This is a clear and unbiased overview, exactly what I was looking for. what are the specifications for the lte technology launched by reliance jio . what is volte and lte as i have seen that if phone supports volte than even if data connection is off we can make the call and in lte if data connection is off than we neet on it and then make the call. Is it gsm/lte of cdma/lte ? No comment but a question. I ordered a iPhone 6s , unlocked so I could get a GSM Sims card and activate it with at&t service. Was I supposed to tell Apple that I needed a GSM type iPhone or am I OK ? thanks for the info, but technically which is better? The biggest difference I see between GSM and CDMA phones is that the FIRST troubleshooting step for a GSM is to remove and reinstall the SIM card. This was something I did on my Huawei and Blu phones many times, without a failure. However, not all phones have such robust SIM slots. I have tried to load the Consumer Cellular SIM into new MOTO G 3rd Gen phones and 3/4 of the time had to replace the phone. Consumer Cellular uses a compound SIM (Their nanoSim is inside a frame to make it microSim size, and a Standard SIM frame is around all of that. Twice the microSim card broke on insertion, leaving shards of plastic from the microSIM frame inside the SIM slot. On another attempt, the microSIM separated from the Standard Sim frame neatly and easily enough, but broke off a gold contact on insertion. "use of an adapter" which would violate Motorola's warranty. I understand that adapters vary in quality, and surely understand why Motorola wouldn't warranty a phone with a homemade adapter. On the other hand, without an adapter to provide a smoother surface, I fear that it's a very risky proposition to plan on routine re-installation of a Consumer Cellular SIM into a MotoG phone. Otherwise, we love the Moto G III. We're living on Social Security and can't afford $500 phones. We have loved and recommended Consumer Cellular for their customer service and low cost (we were spending $38/mo altogether for 2 phones.) However, I can't figure out how we can use both because of this problem with the SIM cards. Any suggestions? After talking with both companies (which blame each other), we're getting desperate. How does straight talk fit into this? CDMA phones also come with sim card. Infact CDMA phones without sim card are extinct now. Thanks for the good stuff makeuseof, keep it coming! I live in Arizona. I have a couple of questions. First, I have a Samsung Galaxy S4. It's both cdma and gsm. I'm switching it over to straight talk. 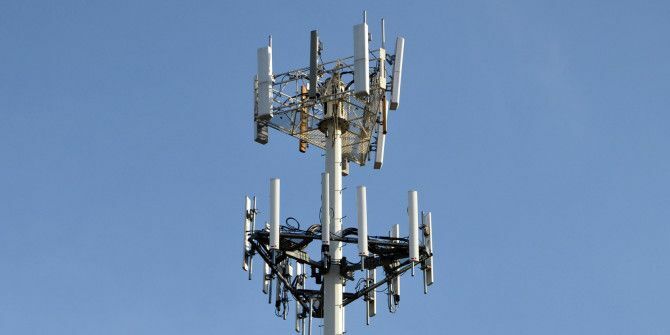 What does Verizon towers use, cdma or gsm? Also, I'll be in Alaska for a couple of months and I saw they don't support cdma. If I go with cdma will I still be able to use the phone while I'm in Alaska? i get a phone lgvol that from USA cdma version of sprint.can i work this cdma phone by using a indiannetworkprovider. Any suggestions? I mostly use data, in the states and abroad. After reading your article, I was wondering if I could buy an iphone 5s with a AT&T contract, and then use it overseas with another sim-card when I need to. GSM is better. Someone needed to say it. I just bought a zte valet from TracFone for $29. From what I understand it operates in Verizon's CDMA network which covers most of the Unted States excluding Alaska and some rural areas. Coverage is better than my old T-mobile flip phone that only operates on 1900 MHz; it doesn't even roam onto at&t's network in the countryside. OK, I have a Samsung Galaxy mini that someone brought from South America and it takes a sim card, Can I take my sim card from my tracfone and use it in the galaxy? I've moved sim cards between phones without having to do anything else. It just has to be a phone set up for the same carrier. Not true. I have Verizon. I can talk and surf the Web all at the same time. I have a Motorola RAZR Maxx and Note 4. None have issues . GSM iPhones could do Data and Voice SIMULTANEOUSLY, CDMA can not so, if you're on a Voice call on your Verizon or Sprint iPhone and need to check Data, you must first end the Voice call. With a GSM based iPhone, the Voice call can continue while you access the online Data you need. I thought the when Verizon adopted 4G/LTE, Verizon would gain this capability. I'm told by Verizon reps that it is not the case. Even on a 4G/LTE Verizon phone, you still can do Voice OR Data but NOT BOTH TOGETHER. Unless you're connected to a wifi then you are able to do voice and data simultaneously. On Verizon, simultaneous voice and data is supported. Sprint, however, drops to 1x during voice call, so the network doesn't support voice and data simultaneously. Actually 4G is defined by data rates and other two-way spectrum comms protocols: 1 GB stationary DTR and 100 MB mobile. The FCC caved to vendor pressure to redesignate current (LTE) data rates as "4G" for marketing purposes. Wimps. The missing fourth is 3G, which are WCDMA and UMTS technologies. Please search Wikipedia for more info about 2G, 3G and 4G, since they are nit necessarily easy to explain. Looking at the heading of the article, I was excited I would get to know the difference between CDMA and GSM. But to my my disappointment the whole article revolves around just the pros and cons. No difference highlighted. Poor construction. CDMA uses code to mux (multiplex) a voice signal into a dedicated data path containing multiple voice signals. GSM uses TDM, or time division multiplexing which assigns a call to one channel in the bit stream, similar to a T1 (DS1). You left out the biggest deficiency of CDMA vs. GSM, that is, that you cannot use your phone and data at the same time on CDMA. IF you are browsing, foe example, and the phone rings, you are cut off from the internet if you answer and cannot get back on until you hang up. TO me, CDMA has absolutely no advantage over GSM. From a carrier standpoint it means more capacity. More devices on the same channel. Where on GSM you can only have one device on each channel. That is actually irrellevant as Verizon has had advanced calling. It's enables mobile data while on a call. They came up with that feature years ago when 3G was being being rolled out and AT&T turned up the heat as they were able to do that but Verizon wasn't. Some CDMA phones can swap "SIM" cards too, but they are called R-UIM (Removable user identity module), which is the old standard, and CSIM (CDMA Subscriber identity module), the new standard, instead of SIM (Subscriber identity module). I've used both a HTC Sensation and a Samsung Galaxy S3. Both of them allow switching between GSM, which is better for voice and text signal, and WCDMA, which is better for mobile data speeds. I don't know whether it is because I live in the UK, or if I just got lucky with the phones I bought. That makes sense, thanks. It's annoying that they use two confusingly similar acronyms to mean different things. Due to FCC spectrum agreements, Verizon is required to not lock their LTE phones. i.e. iPhone 5S, and 5C are compatible with AT&T, T-Mobile and Verizon. True, but verizon is being slow to allow this, the last I knew.